A “profoundly unfortunate,” “ill-considered,” “epic scientific misadventure” that “flout[ed] international ethical norms” and was “largely carried out in secret” with “utterly unconvincing” justifications. Those are the words in a statement issued by Francis Collins, head of the U.S. National Institutes of Health (NIH) in Bethesda, Maryland, in response to the claim by He Jiankui of the Southern University of Science and Technology in Shenzhen, China, that he used CRISPR to genetically modify two embryos, resulting in the recent birth of twin girls. The scathing condemnation from the typically measured NIH chief, who has done landmark genetic research himself, came hours after He first described his work at the second International Summit on Human Genome Editing in Hong Kong, China, on Wednesday. “The need for development of binding international consensus on setting limits for this kind of research, now being debated in Hong Kong, has never been more apparent,” Collins wrote. In 1975, at the behest of its then-director, NIH set up just such a strict independent oversight process for another revolutionary technology that caused equal measures of great promise and deep concern: genetic engineering. The Recombinant DNA Advisory Committee (RAC) initially regulated test tube experiments with bacteria and viruses; its role became particularly important with the advent of gene therapy trials in the 1980s, for which RAC weighed the risks and benefits. Its importance waned as gene therapies—which often use harmless viruses to shuttle healthy genes into cells to override mutated ones—became commonplace and institutional review boards, institutional biosafety commissions, and the Food and Drug Administration began to provide more oversight. Recently, RAC has evaluated so few proposals that some have called for severely limiting its scope. 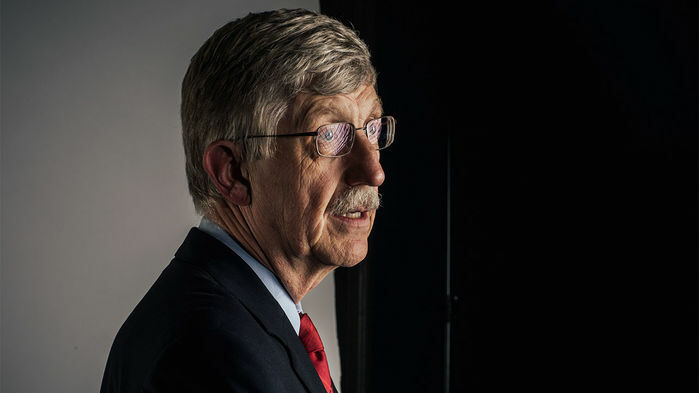 With the international furor about the CRISPR babies, NIH—and its director—may once again have to take a leading role in the oversight of a fraught new technology. Science Insider spoke with Collins yesterday. This interview has been edited for brevity and clarity. Q: What should “independent strict oversight” for germline editing intended for reproduction look like? A: How do we have an enterprise that is not just one country at a time, but actually has the opportunity to develop and then enforce some kind of international consensus about where the boundaries should be? Frankly that’s something we’ve never had in bioethics. Is every country going to have to come up its own framework? At the moment that’s sort of what we’ve got. Maybe this is the moment to try to discuss whether there could be a more effective international oversight umbrella, but nobody seems to quite know what that would look like. Q: Should NIH set up a RAC-like oversight for this type of germline editing? A: NIH does embrace the role that we may need to play there, and we are not going to step into the wings and wait for somebody else. We have been restructuring the RAC in a fashion that is trying to make it more suited for the current era. Maybe what we need is a new version of the RAC that allows a public, intense, scientific debate about areas of some scientific potential where there are many unknowns. This would certainly be one of them. Q: Are you concerned, as many people were back in the recombinant engineering days, that if you don’t do something at a federal level, Congress will become more aggressive about policing science? A: I wouldn’t necessarily blame Congress if members felt there was a vacuum and there were serious risks of rogue scientists carrying out experiments that the rest of the world thinks are unethical. Maybe Congress would find it necessary to step in and say, “Oh no you don’t.” In certain ways they already have in this particular area of genome germline editing. There’s a statute that currently prohibits the Food and Drug Administration from even looking at an application that includes human germline modification of an embryo with the intention to reimplant and make a baby. So Congress already has spoken. Q: Do you think there will be a proposal in the near future to do germline editing with embryo implantation in the United States? A: Not while it’s illegal. It would be pretty crazy for someone to propose something at the present time that would be immediately seen as cause for criminal prosecution. Are there examples that could be imagined at some future point where this kind of germline intervention with intention to reimplant would somehow be justifiable on the basis of pressing medical need? I have a hard time seeing many examples of that, and most of them are pretty far out there. But that kind of conversation needs to happen. Q: Science recently published a CRISPR experiment in a dog model of Duchenne muscular dystrophy. It was done after they were born, so these were somatic, not germline, edits. But germline editing is possible. A: I’d love to see that pursued by somatic gene editing and I don’t think that presents ethical dilemmas. Let’s talk about the germline approach. You’d have to have a circumstance where you knew you had a family at risk. So you’re worried about having an affected boy. How would you go about doing gene editing? Well, you’d have to do in vitro fertilization [IVF], you’d have to do preimplantation genetic diagnosis [PGD] to identify an embryo that has the mutation. You’ll have at that point multiple embryos and there will be amongst them plenty that are unaffected. Why don’t we just reimplant those and you’re done? You have to do PGD in order to get to the point of being able to do germline gene editing, so it’s PGD alone or it’s PGD plus some highly risky procedure. Q: You can’t imagine anything right now where germline gene editing makes any sense? A: I can’t go so far as to say I can’t imagine any, but right now I can’t see it. Q: But at the Hong Kong meeting, George Daley, dean of Harvard Medical School in Boston, explicitly said we need to keep the door open here. And the meeting’s organizing panel, of which he was a member, called for a “translational pathway” for clinical trials of germline engineering. A: I don’t agree with George. I thought what was put forward there, which was kind of ironic given the circumstance, was a subtle shift from, “We don’t believe that the arguments exist to do this right now” to “OK, let’s identify a translational pathway so we can.” I don’t think George is reflecting the consensus of a lot of other people and he took some criticism. Q: Do you think there should be a moratorium on this type of research, given that Daley and others think there could potentially be valid reasons to do it? A: I think effectively we have one. Certainly, in the U.S. it’s not just a moratorium, it’s illegal. That’s the strongest form of a moratorium. And we won’t fund it. [The Dickey-Wicker Amendment forbids NIH from funding this research.] In other countries, especially after this eruption, including in China, it sounds like they’re declaring a moratorium. Q: IVF clinics often don’t receive NIH funding, and they have done all sorts of things that people look askance at. Are you at all concerned about what they might do, given that they’re central to any of this happening? A: It’s a good point. IVF clinics have had a bit of a reputation of being cowboys, and it’s certainly possible that if this kind of rogue behavior was going to happen in the U.S., it would have to involve IVF and therefore those clinics might be significant players. If they chose to go down this road, they’d be bringing on a world of pain in terms of the consequences. I’d hope they wouldn’t be so ignorant not to realize that. Q: Do you think the legal consequences for He should include criminal prosecution? A: I’m hard pressed to say that without knowing more about exactly how he conducted his research, how many people did know about it, and was there a possible wink and a nod from authorities saying, “Well, you probably shouldn’t, but it would be really cool if you did.” I think he did a really bad thing. I think he had a bit of messiah complex that he could save these families from a terrible tragedy of stigma from HIV. But the logic he used to justify [the experiment] in these two little girls is so twisted that it’s really hard to understand. Q: Do you think what he did will have an impact on using gene editing in therapies that alter somatic cells, but not the germ line? A: I do hope that this very visible misadventure does not cause a cloud over the entire area of gene editing for therapeutic benefit. When it comes to somatic applications, I’m extremely excited about the potential to come up with not just treatments, but cures for hundreds and maybe thousands of diseases that currently have no available treatment—and this could be the best hope. If for any reason the noise about this misadventure would result in reduced enthusiasm, including politically or financially, to press forward on those very promising frontiers, that would be a terrible outcome.